Before Miguel Cotto and Canelo Alvarez meet face to face Saturday night, they first took to the stage at Wednesday’s press conference at the Mandalay Bay in Las Vegas. The Mexico vs. Puerto Rico rivalry has been among the dominant storylines in the build-up to the fight, and Wednesday's presser was no exception. While the aforementioned rivalry sets the fight apart, Cotto-Canelo is also the third and final mega-bout on the boxing calendar this year. In May, Floyd Mayweather and Manny Pacquiao took the crown with regards to hype, but the lack of action in the ring left many fight fans wanting more. That promise of action was delivered on by Gennady Golovkin against David Lemieux just over a month ago, setting the stage for what should be a lengthy pay-per-view career for the baby-faced fighter out of Kazakhstan – even more so if he is to face the winner of Cotto-Canelo. Saturday’s event completes the trio of 2015's marquee fights, thanks to Cotto's veteran resurgence and the meteoric rise of the 25-year-old Mexican superstar Canelo (45-1-1, 32 KOs). The stacked year is not lost on boxing's long-timers. 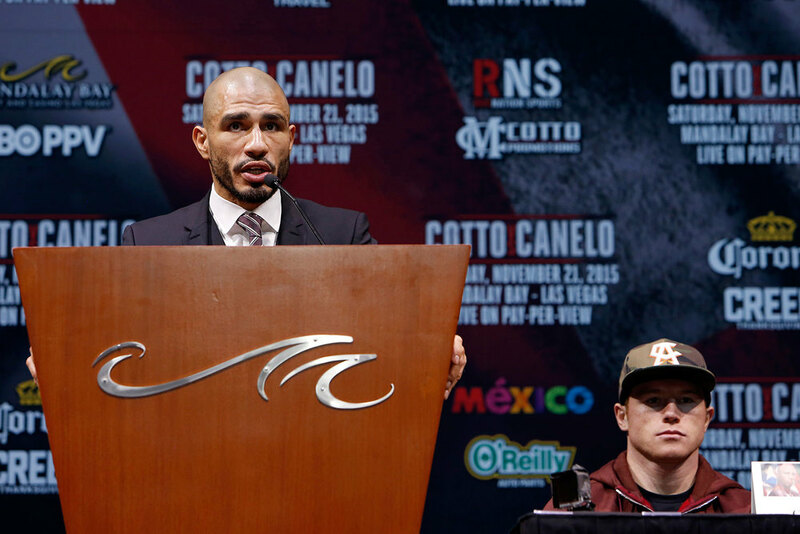 To the observer, both Cotto and Canelo could best be described as men of a few words. Intimidating, without question, but they're two professionals who bypass trash talk and let their work in the ring speak for them. Even still, neither fighter appeared to lack in confidence when they stood at the podium. 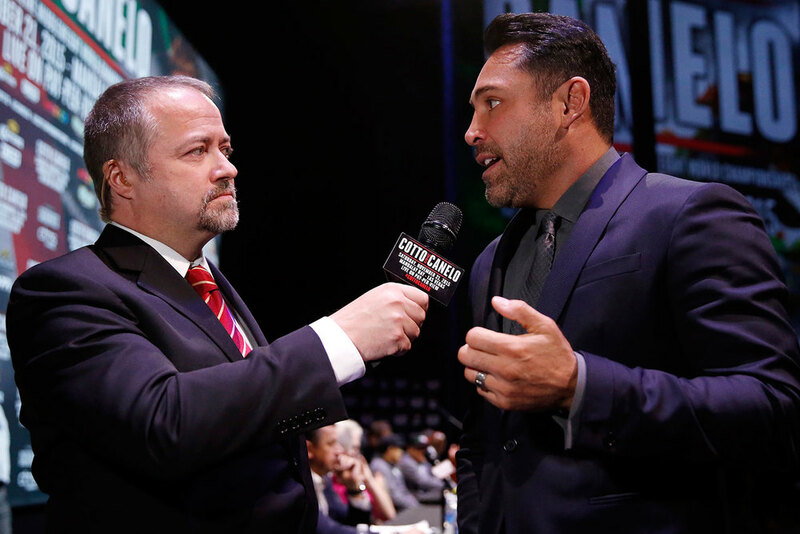 In the other corner, Canelo’s co-trainer Chepo Reynoso spoke highly of his pupil, crediting the Mexican's work ethic and commitment. With words spoken from each corner, it leaves only Friday’s weigh-in as the final step before the fighters meet in the ring. Cotto-Canelo happens Saturday at 9 PM ET/6 PM PT on HBO PPV.